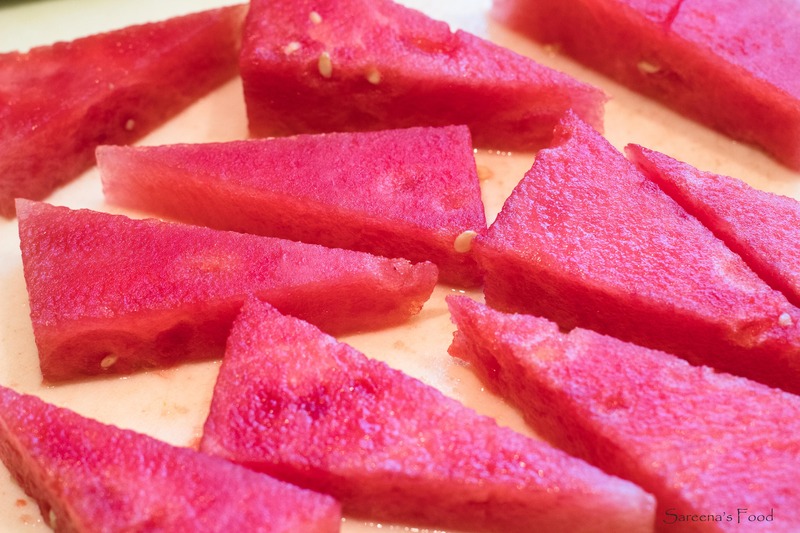 I am so glad that watermelon season is here again! I have missed them so much and they are good at anytime. If you haven’t tried watermelon as an appetizer, you need to right away! 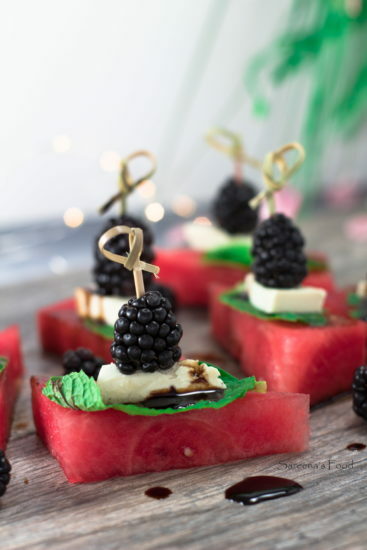 The sweetness of the watermelon with the tang of the cheese make it a perfect choice. 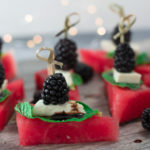 These bites are so easy to make, and are absolutely amazing! I mean look at how few ingredients are used, could it be any simplier? I used a vegan brie made by Nuts For Cheese and it is delicious! Check out their website HERE to get some for yourself! To start this simple recipe, you cut the watermelon into 4 inch x 2 inch rectangles. After that is done, cut them on a diagonal to make 2 triangles. Once all the pieces are cut, top them with a mint leaf, a slice of Nuts For Cheese and a blackberry. Skewer each piece with a toothpick and drizzle it all with Chocolate Balsamic Vinegar. If you don’t have chocolate balsamic vinegar, then use any balsamic vinegar that you like. 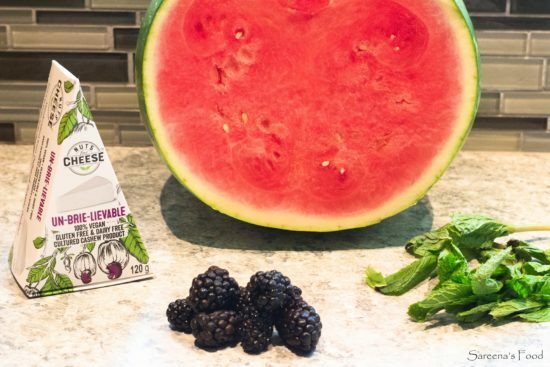 Cut the watermelon slices into 4 inch x 2 inch rectangles. Slice them in half diagonally to make 2 triangles. 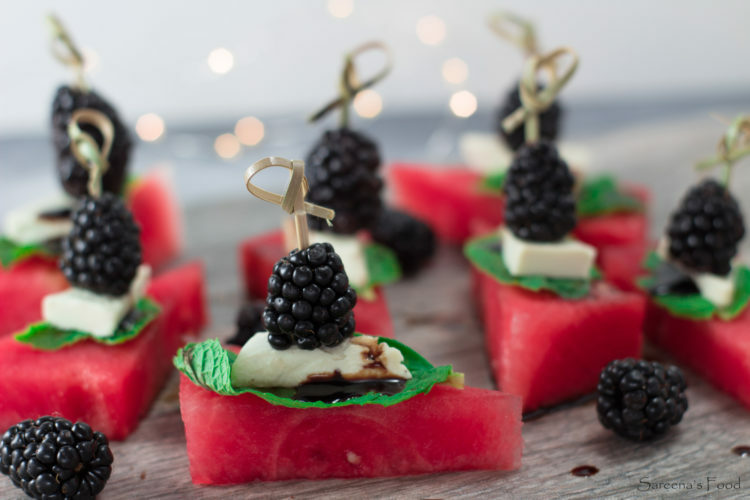 Top each with 1 mint leaf, a slice of cheese and a blackberry. 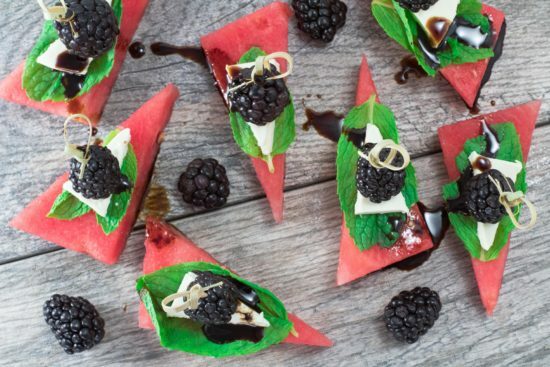 Skewer it and then drizzle with balsamic vinegar. If you don't have chocolate balsamic vinegar, any balsamic vinegar will work.